In a era when a barren pop music culture appears doomed to perpetually recycle the 20th century, and when pressing "> play" while throwing a fist in the air qualifies as a performance, NERVE has set out on a mission: to recalibrate our perception and reinstate our imperiled ability to discern between whats real and whats not. NERVE aims for an authentic 21st century expression that reclaims musical performance as a culturally informed art form. NERVE evolved out of Jojo Mayer’s legendary party event, “Prohibited Beatz”, in NYC. Initially a platform for experimental interaction between DJ culture and live music, this collective eventually developed into a finely tuned group that cross-pollinated the premeditated format of programmed electronic music with real time musical performance. NERVE ultimately brings the early jazz tradition of improvisation, innovation, authentic expression and stylistic evolution to the digital age. NERVE re-examines and transcends the relationship between human creativity and digital technology, and has created a new form of musical expression which is completely unique in the world today. At the heart of the group is their explosive and high energy live show, which has earned them an extremely loyal international fan base. NERVE sounds like electronic music, but it’s not. It doesn’t sound like jazz or rock, but it is. NERVE operates completely independently, has produced and released 4 LP's and 5 EP’s, and has toured the USA, South America, Europe and Asia. 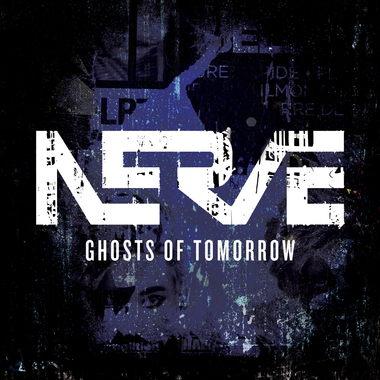 Remix the first track off of Nerve's new full length record, 'Ghosts Of Tomorrow'. The track is in three sections, and stems are provided for drums, bass, keys, effects, and reverb. 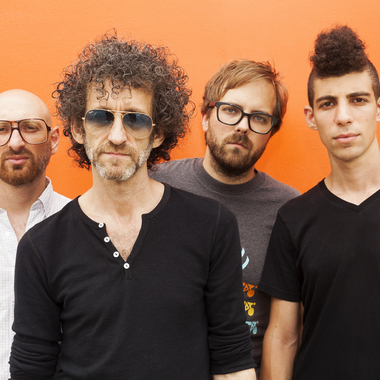 The band will select their two favorite remixes and feature them online, as well as include them in an upcoming release of remixes and collaborations. Stems are interleaved stereo 88.2/24bit WAV. Finally polished up my version. Strong stuff as usual gentlemen. Well done. I was also very excited to see you play in the UK - unfortunately you have timed it perfectly with my wife's due date. Maybe he/she could displace their arrival by an 8th note?